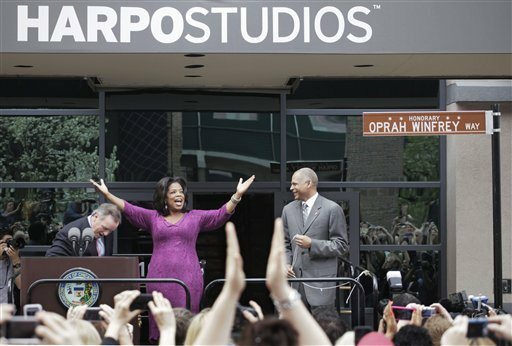 The block of Harpo Studios in Chicago was named "Oprah Winfrey Way" to honor the talk show queen's legacy in May 2011. If Chicago declared a patron saint for media coverage, no one person (save the current President of the United States) would be more fitting of such an honor than Oprah Winfrey. Her daily talk show, taped at Harpo Studios on the Near West Side from 1986 to 2011, drew an average of 7.4 million viewers per day and was nationally syndicated for 25 wildly successful seasons. Her 2008 endorsement of then-Senator Barack Obama for president all but cemented his seat in the Oval Office, her 2009 surprise Black Eyed Peas concert swamped Michigan Avenue with a flash mob of over 20,000 people and her final season culminated in a star-studded extravanagza (oh, hey Michael Jordan, Beyoncé and Stevie Wonder!) that nearly blew the roof off Chicago&apos;s United Center. She was our Mama O, and we haven&apos;t had someone of her lightning-in-a-bottle dynamism to rally around since. After the last Chicago taping of The Oprah Winfrey Show in May 2011, Oprah moved to Montecito, California to run her new cable channel OWN: Oprah Winfrey Network. 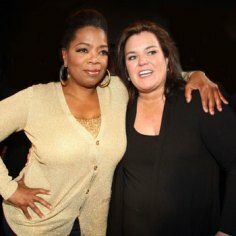 Harpo Studios tried to pick up the pieces by launching The Rosie Show in its place that October, but the evening talk program starring actress/comedian Rosie O&apos;Donnell suffered from dismally low ratings and was cancelled by OWN after only one season. According to this article from the Daily Beast, The Rosie Show was a disastrous experience for everyone involved ("a f*cking hellhole," allegedly) and proved to be yet another disappointment for Oprah&apos;s fledging network. OWN struggled to connect with audiences since its premiere in January 2011, prompting a major overhaul of low-rated programming and numerous staff replacements over the next two years. The channel&apos;s losses were estimated to be $330 million as of May 2012; however, the much-publicized Oprah&apos;s Next Chapter series has provided a sizable ratings boost. And after a raise in OWN&apos;s retransmission consent fee (the channel was given to cable providers practically for free during its first year on air) the network expects to break even in 2013. 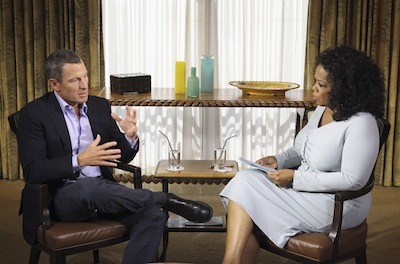 So while Oprah&apos;s career post-Chicago got off to a rocky start, recent sit-downs with Rihanna and Lance Armstrong have helped cement her status as a top interviewer. Katie Couric tries, but she doesn&apos;t have the majestic "it" factor that Oprah possesses in spades. My two cents: OWN should tape more shows in Chicago. Oprah&apos;s celebrity interviews are entertaining, revealing and a huge ratings coup for her network, but I&apos;d like to see her take on Chicago&apos;s struggles with public schools and gun violence from her old stomping grounds at Harpo Studios. These local issues should matter on a national level, and having Oprah in our corner could help to bring about the positive change we need (or at least, a high-profile media platform to spread awareness in moving forward). The 2013 lineup for OWN includes four new original series, a half-hour sitcom and a one-hour scripted drama from Tyler Perry, all filmed in either Atlanta or Los Angeles. Personally, I would love to see more Harpo productions occupying the soundstages here in Chicago, instead of producers always relegating their forces to the overutilized backdrops of Hollywood. Also, new episodes of Oprah&apos;s Master Class, Oprah: Where Are They Now? and Oprah&apos;s Next Chapter should feature more Chicago talent. The first people that come to mind: local production designers, editors, musicians, artists, graphic designers, personal chefs and camera crews that had steady employment when Oprah was in town, and have struggled to find work since. Has Oprah forgotten about us? When former Mayor Richard M. Daley named the block of Harpo Studios "Oprah Winfrey Way" in May 2011, the talk show queen declared the honor "better than an Oscar or an Emmy." "It is really just a full circle, a miracle story," said Winfrey, "that a little colored girl born in Kosciusko, Mississippi on a red dirt road ends up with my name on a street in the greatest city in the world, Chicago." The legendary studio still stands at 1058 W. Washington Boulevard, but who knows how long it will remain. The film division of Harpo just folded, and most of the scripted shows are based in California. Will the lingering effects of Oprah&apos;s legacy last much longer, as her once constant presence in Chicago becomes more of a distant memory with each passing year? We all know how much Oprah loves giving back ("You get a car! You get a car!" "AUSTRALIAAA! "and the once annual freakout spectacular "My Favorite Things!") so here&apos;s hoping that she will return to "the greatest city in the world" with open arms. Confession: I can&apos;t stand the Black Eyed Peas, but I watched this entire video in awe. Follow Leah on Twitter @leahkpickett or add her on Facebook.